Despite the prevailing drought conditions and the resultant slump in the general demand for cattle because of lack in adequate fodder, the just concluded Kannapuram Kangayam cattle mela attracted 15,000 oxen, cows, and bulls of genetically pure Kangayam cattle breed. The almost 1,000-year-old mela is historically used by farmers and breeders to display and trade pure Kangayam cattle. The event coincides with the annual temple car festival of the 11th century Vikramacholeesvara temple and the three-century-old Arulmigu Mariamman temple near Kangayam. K.S.M. Karthikeya, managing trustee of Senaapathy Kangayam Cattle Research Foundation, which is involved in ‘in-situ conservation and breeding’ of genetically pure Kangayam cattle breed for almost six decades, told The Hindu that it was indeed heart-warming that around 60 per cent of the cattle brought by the farmers/breeders to the mela found buyers even in the midst of drought-dominated farming season and got attractive prices. This year, a single Kangayam bull fetched Rs. 1.18 lakh while a pair of oxen was sold for Rs. 1.63 lakh, he said. “It has been noticed that most of the buyers are farmers from other region who try hard to promote organic methods of cultivation. Apart from the capability to pull heavy loads, the Kangayam cattle produce urine and dung which are proven alternatives to nitrogenous fertilizers and hence, been preferred,” Mr. Karthikeya said. 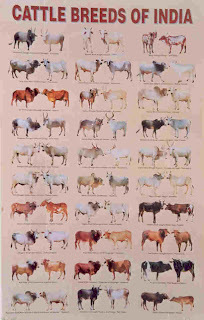 The foundation had put up an exhibition ‘Wealth of Yoke’ (extracted from Tamil for ‘Meli sinnam kolai padadhu’) to disseminate the techniques for conserving native species of cattle in the country like Kangayam cattle, Vechur cow, and Bargur cattle, and their grazing areas.